Going out for a special event and wondering how long the makeup will last. Naturally, you are reluctant to carry your makeup kit with you. You don’t want to waste time running to the ladies’ room to touch it up again and again. 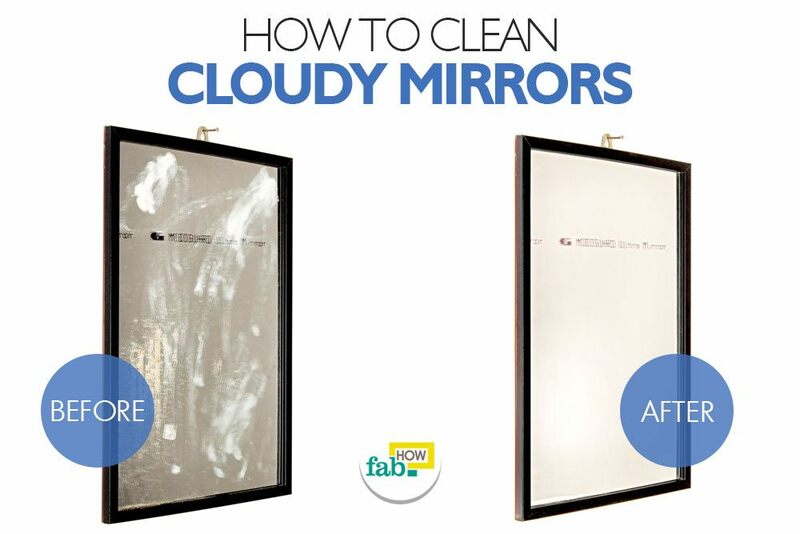 You want to enjoy the event without the fear of smudgy makeup. The perfect solution to this conundrum is contained in a small bottle of makeup setting spray. Makeup setting spray helps your makeup look smoother and vibrant all day long. And what’s even better than that? A makeup setting spray that not only lets your makeup last longer but also benefits your skin in numerous ways. You don’t even have to shell out big bucks for this spray! 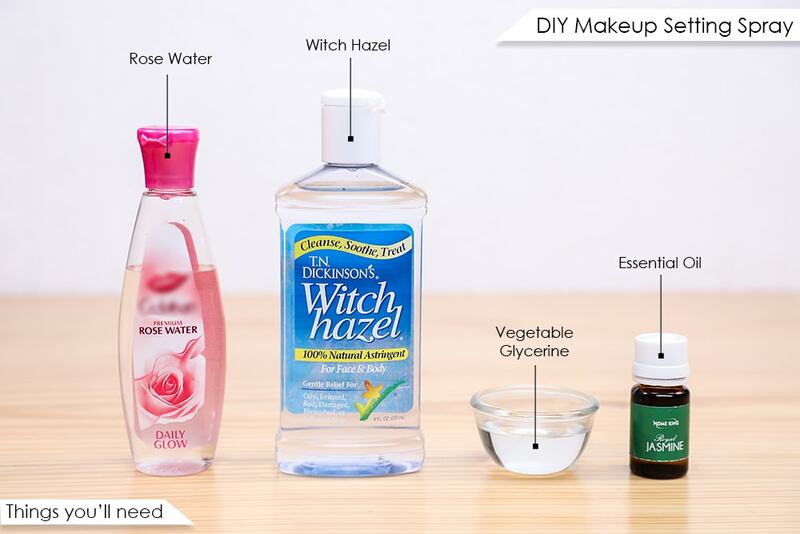 Along with giving you a lovely, cooling sensation, this DIY makeup setting spray also benefits your skin. This tiny bottle of miracle spray works to set and hold the makeup in place all day or even through the night. There are many makeup setting sprays available in the market that you can easily pick off the shelf. But they not only cause a dent in your wallet, but they also may harm your skin. They often contain toxic ingredients that might clog your pores. Besides, most of them contain alcohol that can dry out your skin and even irritate sensitive skin. This DIY makeup setting spray is not only pocket-friendly but also skin-friendly. It’s made with rose water, vegetable glycerin, witch hazel and essential oil of your choice. For acne prone skin, tea tree and lemon essential oil work great. You can also use primrose oil which works great for all skin types. Rose water helps control excess oil, and if your face doesn’t get oily, the makeup doesn’t smudge! It hydrates and moisturizes the skin. Its anti-inflammatory properties help reduce the redness of irritated skin and get rid of acne, dermatitis, and eczema. It is suitable for all skin types and is particularly helpful for oily skin that can worsen during the summer months. Vegetable glycerin, a natural humectant, is excellent for your skin all year-round. It is a natural hydrating ingredient that helps seal moisture into the skin as well as sealing the makeup in place to make it last longer. If you are using primrose oil, you can use this spray through the day while traveling to help maintain moisture balance. 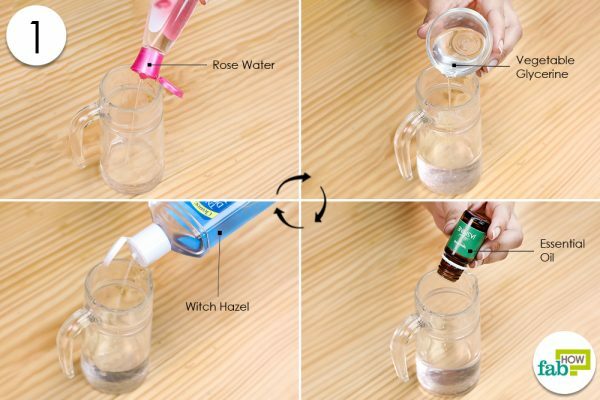 Pour ½ cup of rose water or distilled water into a glass jar. Add 1 tablespoon of vegetable glycerin to the container. Add 8 to 10 drops of essential oil of your choosing. See the Tips section for recommendations according to skin type. Transfer the concoction to a dark colored spray bottle. You can store it for 3 – 4 months in a cool dark place. Shake the bottle well every time you use it. Spray from about 18 to 24 inches away from your face after applying your makeup for the final touch. A light spray is enough to set your makeup. Don’t pat your face dry. Let the setting spray dry naturally. This tiny bottle of pocket and skin friendly DIY makeup setting spray goes a long way in ensuring that not only your makeup stays put, but your face also looks dewy and fresh, instead of sweaty and tired. If you do not wish to use rose water, you may use distilled water. But avoid using normal water, as it may grow bacteria. Using witch hazel is optional. However, it’s recommended if you have oily skin. For the essential oil, we used jasmine oil, which is good for skin rejuvenation. 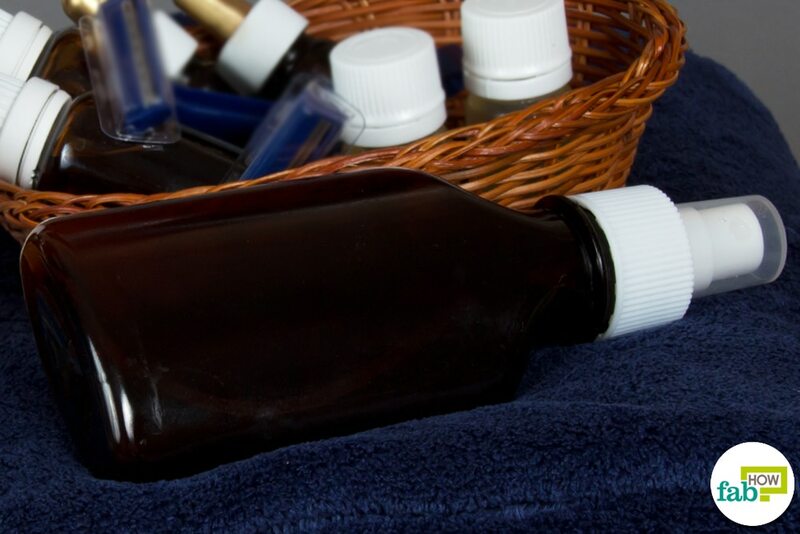 You may use any of the following essential oils, depending on your skin’s needs. Frankincense essential oil is good for normal skin. Jasmine essential oil helps in skin rejuvenation. The geranium essential oil is recommended for oily skin. 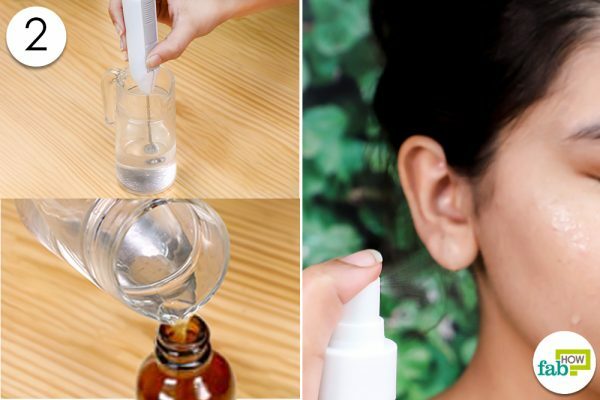 Tea tree oil is highly effective for acne-prone skin. Myrrh essential oil is good for dry skin. Lavender is good for mature skin, as its skin regenerative properties help delay fine lines, age spots, wrinkles, and sunspots. Ylang ylang can also be used if you have mature skin.